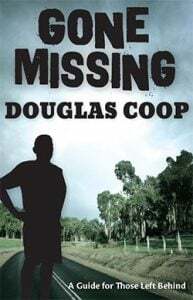 Gone Missing is written by Douglas Coop, the father of Peter Coop, a doctor who went missing in New Zealand in 1989. Thousands of people go missing each year, exceeding the combined number of traffic fatalities, suicides and all the injuries requiring hospitalisation. In addition, each person reported missing affects at least twelve others emotionally or financially; immobilising families as there can be no closure until the fate of their loved one is resolved. Based on decades of fieldwork, Gone Missing discusses the role of police and search agencies, how to deal with the media and the many organisations available to give support and assistance. The book gives a detailed account of the emotional trauma and grieving suffered by those left behind, the professional help available, and explains the role of counselling. It examines why people go missing, and deals with their return or the finding of remains. No other book offers the same comprehensive information and guidance.